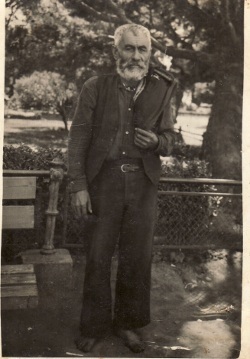 Above: My paternal grandfather, Ioannis. 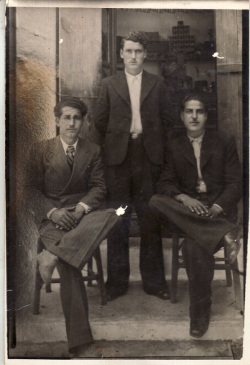 Above Right: My father, Emmanouil (seated left) with friends. 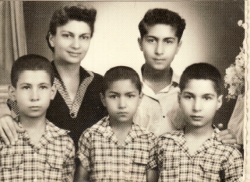 Above: With my mother, Mersina, and my brothers, Evangelos, Ioannis and Themistoklis. I am in the middle. 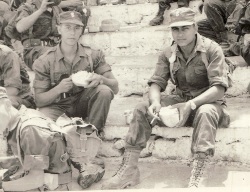 Above Right: A photograph taken during my National Service; I am on the right. Above: I worked in the Greek Merchant Navy, as well as on passenger liners, for many years. 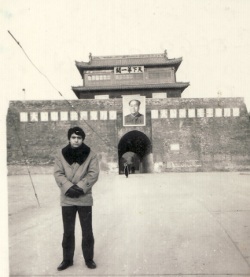 This photograph was taken during one of our stopovers in China. 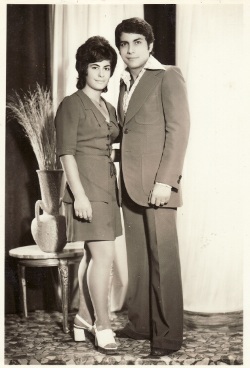 Above Right: With my wife, Irini.